Friend of mine has the one and only produced Wrecking ball pin. It was made by Pat Lawlor and became the commercial version of banzai run. He’s a bit of a private person so he’s asked me to sell it for him. A while back I posted pictures of the game on the ipdb.org. The game has its own set of rules and roms made for it, also comes with a spare set he had burned as a back up. 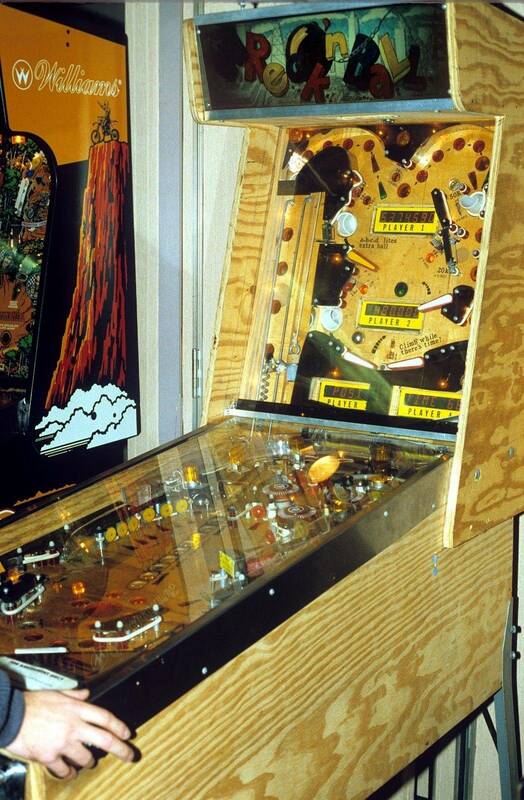 The upper playfield box is set up differently in wrecking ball then banzai run as well. Pat made the game from a road kings core machine. The coin door cut out if for a dba acceptor which at the time was just being made as well, they were so expensive at the time he had to borrow one and return it. Pm me if seriously interested. Any details on how your friend got it? Pretty cool stuff. 7 flippers?! I thought doing a flipper rebuild on Banzai Run was bad enough. Love the score displays in the upper playfield, and that the right side of the upper playfield is playable, unlike Banzai Run. Now that's a real whitewood! Have you considered uploading the rom to ipdb? Would be a great piece of history to preserve. Wow, This entire game needs to be preserved. I hope this makes it to the PHOF in Vegas so that it can be enjoyed by many. I know I'd love to play it. First stop Pinvall Expo 2018!! I am thinking game roms will be too different to fit Banzai Run?? Yeah, having rare code like that in 2 different locations is a smart move. If a lightning surge kills your game's ROMs, then you find out your spare set has succumbed to bitrot (it happens all the time), you would be glad there is a backup image stored safely off-site. I'm sure a few people would be interested in tinkering with the ROMs. Lower playfield appears to be identical? Would be cool if the ROMs were available so others could (and not that hard probably) remake this unreleased game! So your friend bought Pat’s storage shed? Anything else of interest in there? Very cool to see pictures of this, would be great to play at a convention some day. Has someone actually rolled their eyes at that??? Sheesh ... they need to learn how an EPROM works and why it is certainly a real problem!!! Congrats to the buyer. I hope it makes an appearance at shows at some point.